Pràban Na Linne translates from Gaelic as ‘shebeen of the firth,’ with a shebeen being an illicit drinking den. The company is headquartered at Eilean Iarmain on the Sleat peninsula in southern Skye, and currently offers three brands, all non-chill-filtered and with Gaelic names. The best-known bottling is the lightly peated blend Te Bheag Nan Eilean – or Little Lady of The Isles. 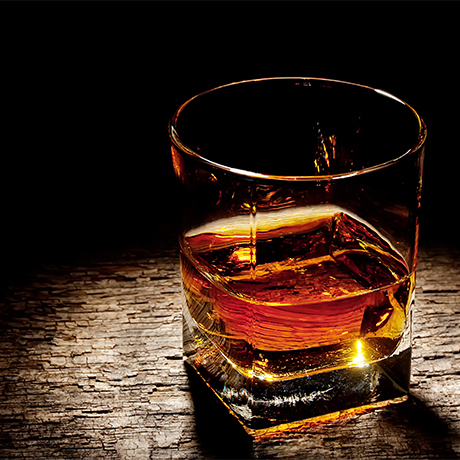 The term ‘Te Bheag’ is a colloquialism used to refer to a dram in the Hebrides. Poit Dhu is a blended malt which also boasts a light peatiness. The term means ‘black pot,’ which was the expression used by illicit distillers to refer to their stills. Sherry casks have played a significant part in its maturation, and 8-, 12- and 21-year-old expressions are available. Finally, the lighter blend Mac Na Mara – son of the sea – is offered in standard and rum cask-finished variants. Pràban Na Linne was established in 1976 by Sir Iain Noble, co-founder of the Edinburgh merchant bank Noble Grossart and a passionate advocate of the Gaelic language and its importance to economic regeneration in the Highlands and Islands. He purchased 20,000 acres of Skye, plus a hotel at Isle Ornsay in 1972 for £120,000, and went on to establish the Gaelic college Sabhal Mòr Ostaig. He was involved in developing a number of business ventures to benefit the Gaelic community on the Sleat peninsula, most notably Pràban Na Linne. He also identified a farmstead at Torabhaig as the ideal site for what he envisaged as a ‘Gaelic-speaking distillery,’ and while this did not come to fruition during his lifetime (he died in 2010) the project has since been taken on and completed by Mossburn Distillers Ltd.